Next Stranger Than Fiction Quiz: Are These Deaths Literary or Literal? Let’s say you’re a cattle farmer. You wake up one morning to find half of your herd missing. This is troubling not only because they’re your livelihood, but because this has never happened before. And so you invest in some fencing and a pair of savage guard dogs — only to wake up the next morning to bloodshed and disrepair. What could this be? A resurgence of wolves? Bored, countryside saboteurs? Sinister rival dairy farmers? ... Dragons? If you’re farmer living in the imagined modern world Pamela Wharton Blanpied creates in Dragons: The Modern Infestation, then it’s probably dragons. Dragons is a book my friend Erik found on the R train in Brooklyn. It was just there on the ground, all stepped on and wet with winter muck. I didn’t think much of it initially, but now the image makes me furious. That’s because Dragons, a satirical take on academia through the lens of the scientific study of dragons, is brutally funny and, at times, beautiful. 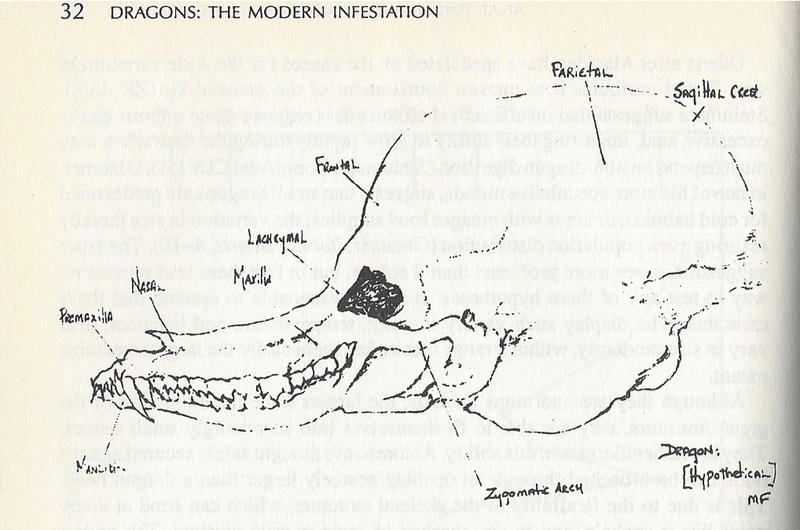 First published in 1980 by Random House and then reprinted in 1997 by The Boydell Press (an academic publisher out of England), Dragons is divided into three sections: a history of the modern dragon infestation; a dense, exceedingly scientific section called “Anatomical and Behavioral Characteristics”; and finally, excerpts from the working papers and field reports from renowned verminologists Marta Froedlich and Philip Marsden. What’s most stunning about this book, though, is not simply the joyful absurdity contained within, but the critique of humanity and our collective complacency with simple, surface-level understandings of how the world works. 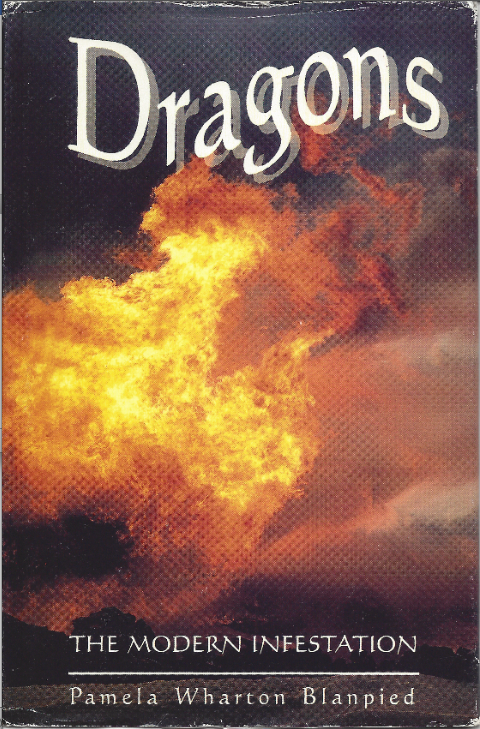 Blanpied argues that dragons roamed the Earth well before the “Modern Infestation,” but humans chose to ignore the forest fires (or “fire falls,” as they are called in the book), the growing loss of cattle and puzzling wide-scale property damage, chalking it up to vandals and political dissidents. “The record of the early years of the Modern Infestation” is a tribute to the human ability to insist that there is nothing new under the sun. Individual pieces of evidence were fitted into explanations based purely on pre-dragon assumptions. If there is no culturally sanctioned explanation for the experience, we tend to ignore it or fail to notice it at all. This argument is a bit reductive, but it’s no less cutting and hilarious because of its brutal truth: We often only attempt to understand what is immediately visible and knowable. In Dragons, humans never win. In a big way, this is the question Blanpied is presenting throughout: What if some beast appeared on this Earth that was finally a match for humanity? The answer for Blanpied seems to be that we’d respond horribly and ignore the fact that a superior being could possibly exist. We’d ignore its power and focus on its cool factor. Mostly, Dragons: The Modern Infestation is packed with slow, deep burns, but there’s also a palpable sense of hope lingering throughout. The imagined verminologists about which Blanpied writes have a profound love and respect for dragons that goes beyond fascination or fetish. If we could just have an ounce of compassion, just a bit of reverence for the things around us that we cannot immediately explain or understand, perhaps coexistence with all other living things wouldn't be so bad. Or maybe this is just a silly book about dragons. "Disenchanted: 8 Fantasy Worlds I Would Never Want to Live in"
"False Fantasy: The Right Way to Write Witches"